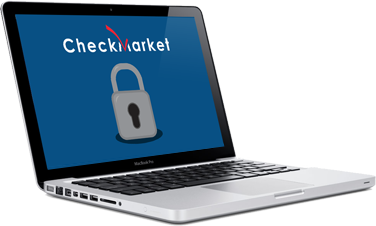 CheckMarket survey software is a web-based survey tool that after 10 years of development offers extensive functionality, security and stability. The CheckMarket survey platform is used by many government agencies, large corporations, small business and individuals all over the world for everything from customer satisfaction and employee climate surveys to event registration and course evaluations. Work right in your browser or your tablet. No need to download anything. Brand your survey to maximize response rates. 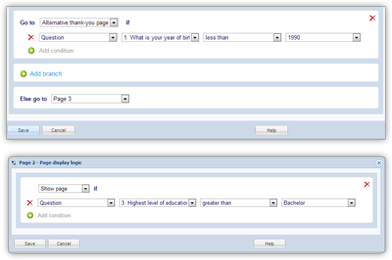 Completely personalize the appearance of your survey by adding logos, banners, audio, video, colors, etc. to match it to your company’s brand. 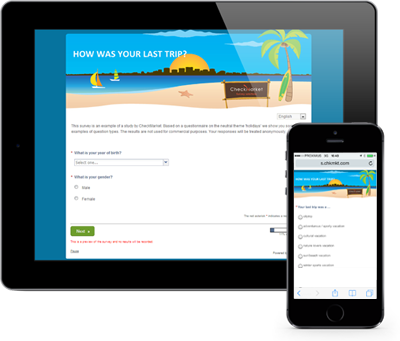 CheckMarket uses responsive design to make your surveys work and look great on any device (desktop, tablet, mobile). Customize the experience for your respondents further using variables, validation, piping and extraction. 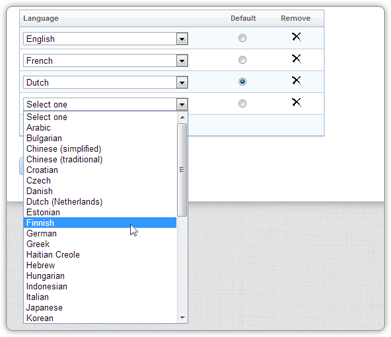 Create and distribute your surveys in more than 40 languages including right-to-left languages like Arabic and Hebrew. Invitations are sent automatically to your contacts in their own language. Import and export translation files with ease. A survey conducted in several languages is treated as one survey. The results from each language group can be analyzed separately or combined. Track who has responded, register bounces and opt-outs and send automatic reminders. Discover insights in the data that lead to action. The smart real-time reporting automatically sets the correct chart type and colors based on multilingual negative keyword detection. It is these kinds of details that set us apart from the so called “free” tools, where you end up paying with your time. Generate native reports with charts in Excel, PowerPoint, Word, PDF, SPSS and CSV. 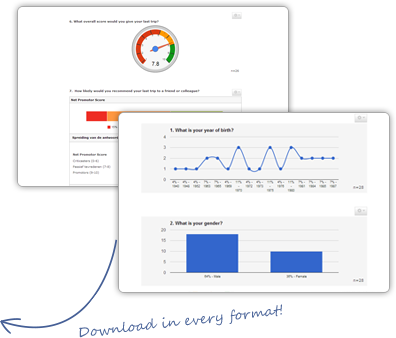 Share reports with others, create dashboards and embeddable reports with just a few clicks. Use one-click filtering to dig deeper into your data. Notifications let you get an email every time someone completes a survey or get a text message if a respondent indicates that they are very unsatisfied. You can also set a notifcation to automatically create a ticket in your help desk. Set conditions based on how respondents answer surveys. 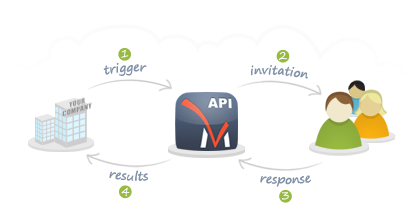 When these conditions are met, they trigger notifications such as sending an email, a text message, a Zendesk ticket or making an API call. You can win back at-risk customers through coordinated customer follow-up. 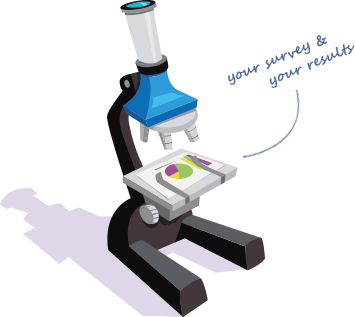 Our Survey API allows for tight integration with your internal systems, so that you can automate your research. Getting data and insights back into your systems is crucial. 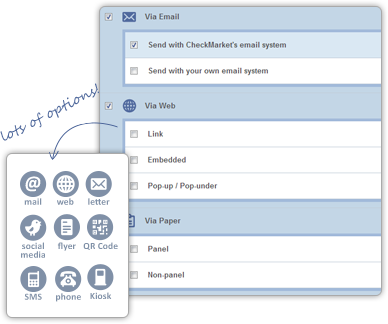 Share data between our tool and your CRM tool, Salesforce, Zendesk, …. Our platform is secure, fast and reliable. That way you can concentrate on research while we take care of the technical stuff. All data is stored in Class A datacenters with extensive physical security. Data loss is not an option due to our Smart Backup system which synchronizes data between our data centers in real-time. Our positive, determined support staff know a thing or two about market research. 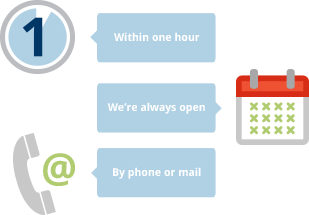 Our support staff will respond within one hour during business hours. We can manage your project from A to Z or help you with a specific aspect. CheckMarket offers a wide range of professional services, from survey scripting to custom analysis. We can help you to get the best out of your survey projects. Collaborate with unlimited users under your account at no extra charge. 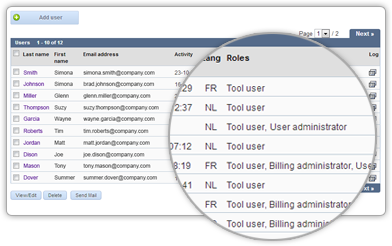 Our extensive role based control management allows you to specify user rights and roles. The real-time activity log shows all actions by all users. 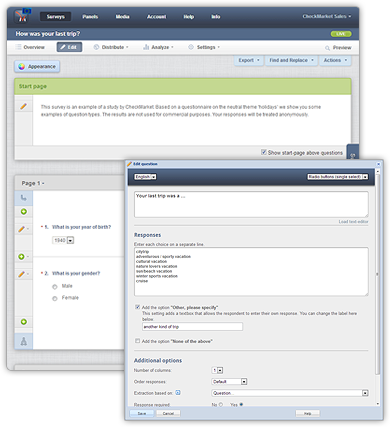 You can filter by survey, user, action, keyword and more.